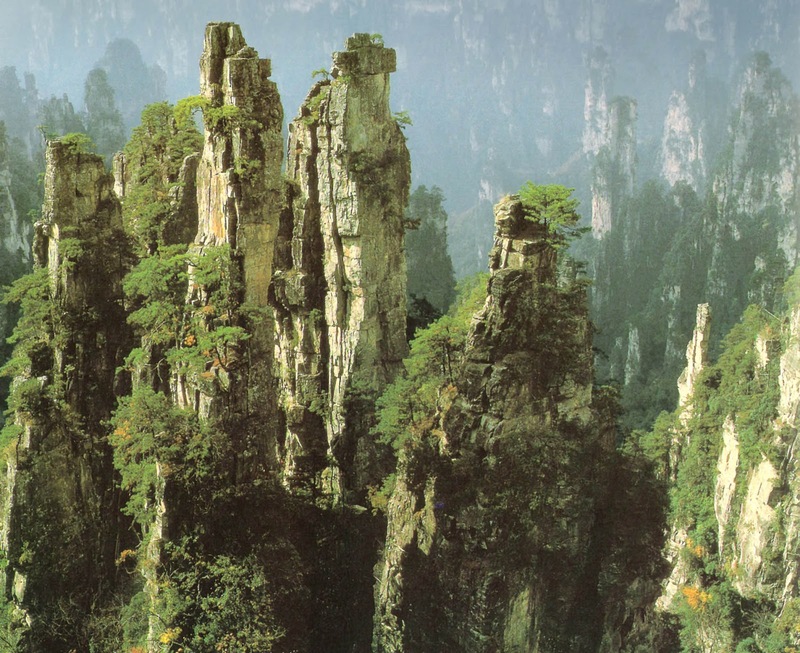 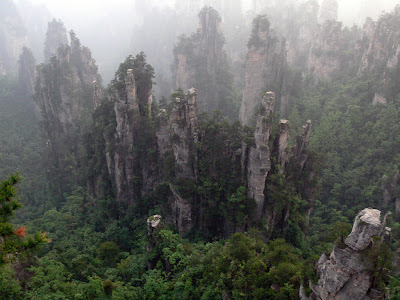 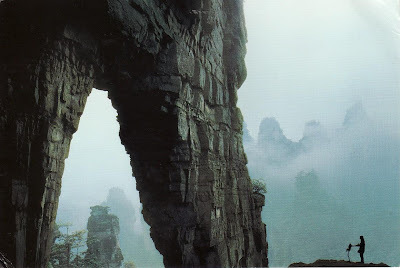 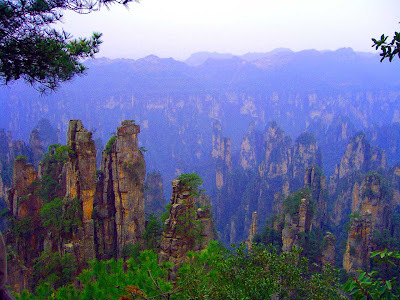 Wulingyuan is a scenic and historic interest area in Hunan Province, China, noted for its approximately 3,100 tall quartzite sandstone pillars, some of which are over 800 metres (2,600 ft) in height and are a type of karst formation. 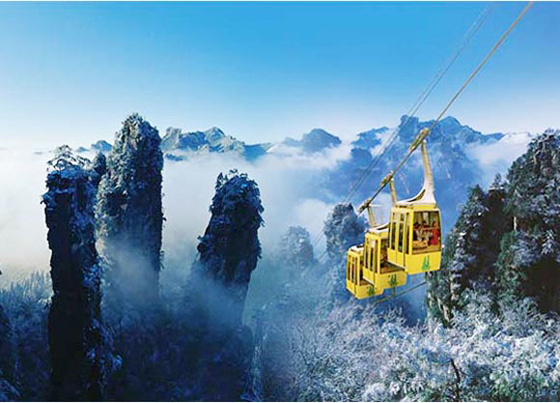 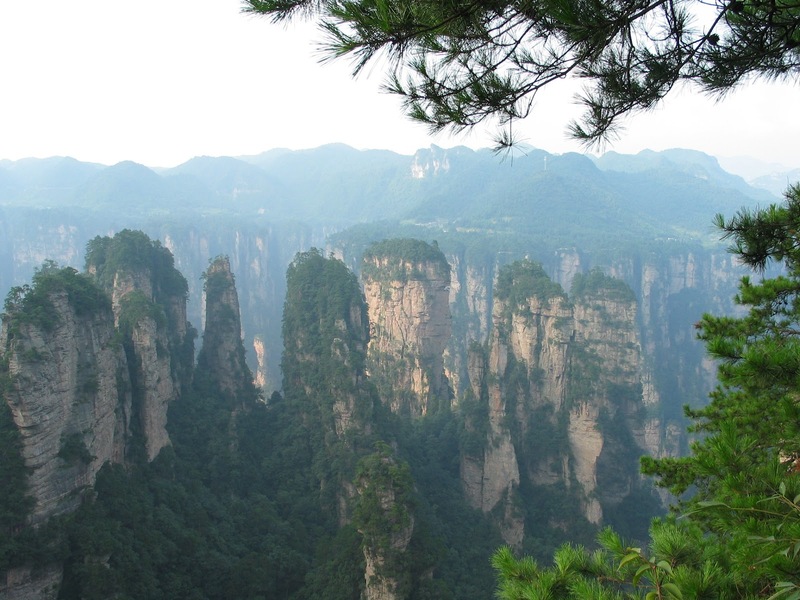 Wulingyuan Scenic Area, lying to the north of Zhangjiajie City, is a charming tourist attraction. 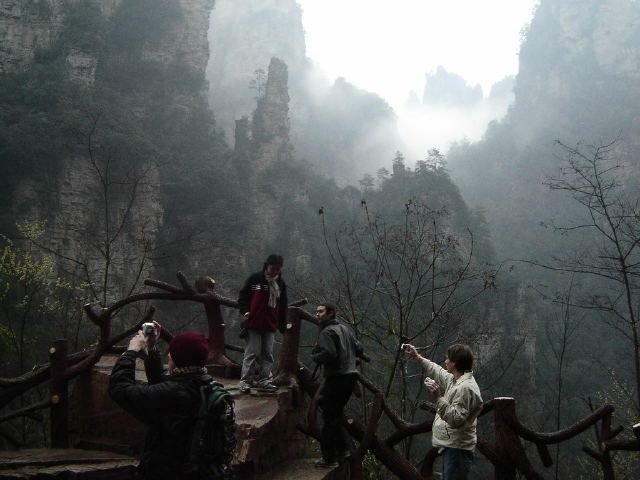 It is one of the 40 famous scenic spots in China. It is said to be 'The ampliative miniascape and the contractible fairyland' and was admitted to the 'World Heritage List' in 1992. 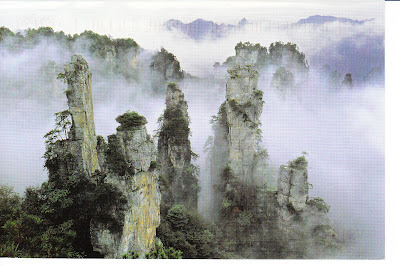 The spot boasts of natural beauty where mountains, valleys, forests, caves, lakes and waterfalls exist in total harmony. 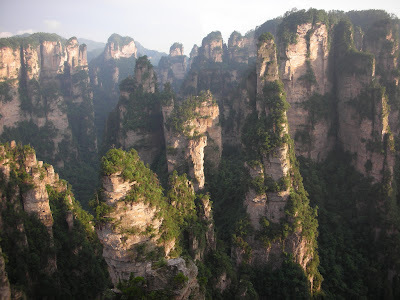 Over 560 scenic sights can be found here. 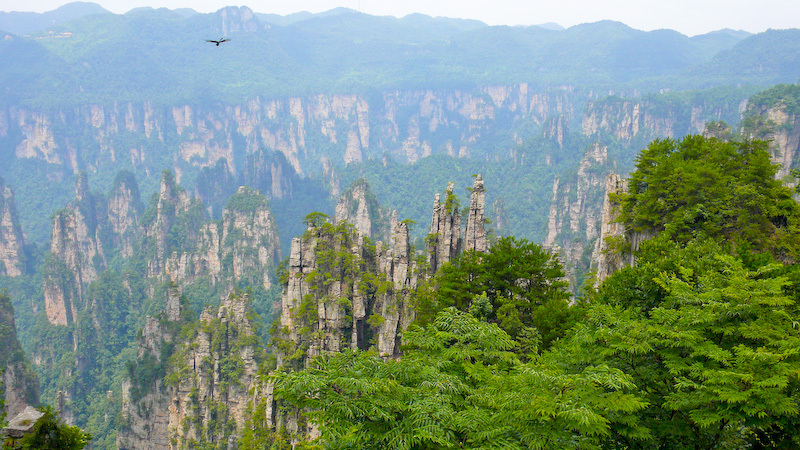 The strangely-shaped peaks, the absurd stones, the hidden valleys, the wonderful waters and the limestone caves form the 'Five Wonders' of Wulingyuan and they are really worth seeing.